Camping trips are one of life's greatest moments. The freedom, the scenery, and the adventure are always something incredible. But on some days, the weather gets the better of you, and you are forced to handle with uncomfortable conditions like an extremely steamy tent. Instead of being forced to sleep in a sauna, you should bring a camping fan with you! 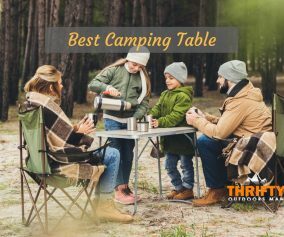 Today we'll be discussing the reasons why camping fans should be included in your gear and suggest some of the best camping fans of 2018 for you. Why Do I Need a Camping Fan? 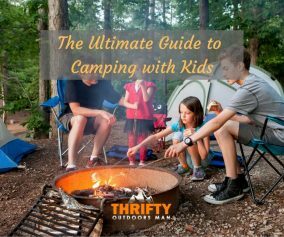 You might be thinking, “But I like to keep it natural!” While packing light and trying to live like our ancestors did is great, there are some temperatures and climates where outdoor camping can get dangerous if you don't keep cool. At night, you are going to want to be comfortable so you can recharge. Using a camping fan overnight means increased ventilation. Even in the wintertime, when condensation is a huge issue, a fan can increase the flow of air to prevent moisture from gathering inside the tent. What is the Ideal Camping Fan? No, you can't just bring your USB desk fan along for the camping trip. Well, technically you can, but you are not going to have the luxury of electrical outlets on the camping trail. That is why a camping fan comes in handy, because you don't need a power inlet/outlet for it to function. Battery Usage & Consumption – Most portable camping fans work on alkaline batteries, usually D-cell. The number of batteries depends on the size and power of the fan. For a fan that will have a decent life, you want to look for one with a compartment that holds 3-4 batteries. The more energy it has, the longer it will last. Bring some spare batteries to ensure that you won't be without your portable ventilation system. Weight – Camping fans should be lightweight and small enough to be stashed inside your backpack without making it cumbersome. Settings – The fancier the fan, the more settings it will have. These settings usually deal with airflow capacity and speed modes. Noise Level – Choose a fan that is noted to run quietly. Fan blades are bound to generate noise, but plastic, sickle-shaped blades are going to produce less noise than metal. Light – Though this is often considered a bonus, many of these camping fans now come with built-in LED lights. Now you can stay cool and illuminate the inside of your tent with just one device instead of two. Size – Camping fans come in various sizes and styles. There are some small fans that even come without a cage around it...which might be a tad too dangerous for a small tent. 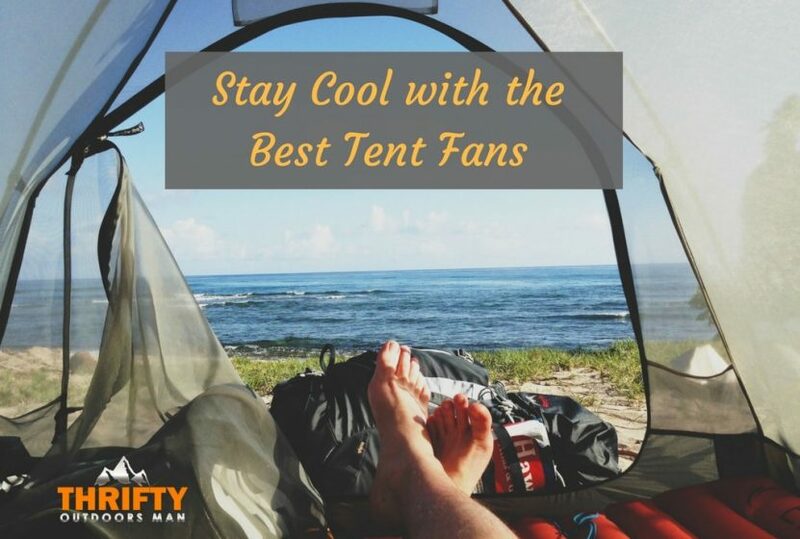 The bigger the tent or the group you are traveling with, the bigger of a fan you will want. However, the bigger the fan, the more high-powered it will be, and the more batteries it will inevitably consume. Placement – Depending on the type of fan you choose, the placement of it within or outside your tent could be different. To gain maximum air circulation, you should place the fan near the entrance. Some fans, though, are meant to be mounted to the ceiling. Others can be attached with magnets. Here is an excellent example of a camping fan that does two jobs for the price of one. The built-in LED lights for the Imagine Portable LED Camping Lantern and Fan are very bright, while the fan does a decent job at keeping your tent well-ventilated throughout the night. The fan runs on 2 D-cell batteries, has 18 LED bulbs, two fan modes (slow and fast), and two light modes. The fan also comes with a top hook for hanging and a foldable stand to move from overhead to the floor without hassle. A huge plus is that the fan's running time is around 20 hours (or 2 nights) on high setting. This is, of course, altered when you are also using the light. Not made for endless running. No batteries or battery cartridge are included (sold separately). The Coleman CPX 6 is a reliable and durable camping fan, because, well, it's Coleman. You can expect to be powerful. The fan comes with a rechargeable battery pack, LED lights that have two settings—normal or nightlight, a magnetic plate, and a carabiner clip that helps you attach it to the tent's ceiling. There are also two switches for the fan and light. If you want to remove the screen, you can do that too. Strong construction – heavy plastic. Creates a strong breeze at the highest air speed, making it a good choice for hot destinations. Portability – can be used indoors and outdoors, on battery or with a USB cable. Adjustable speeds – low, medium, and high. Depending on whether you have a power bank with you or not, 3-11 hours is too short of an operating time for some people. Can only be used on the ground level. Not very stable (base is slim). Not ideal for very large spaces. This powerful little fan is an excellent addition to your essential equipment. You can use it at home or while traveling, because it is small enough to fit into your gear without weighing you down. With a rechargeable battery pack and USB-cable connection, you can easily keep this little fan running. One charge lasts 3-11 hours, depending on which of the modes you have it set on and if you are using the LED lights (internal blue light or side light). 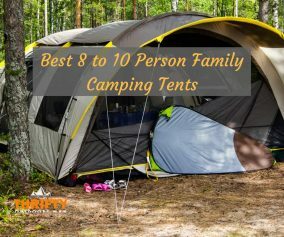 Ideal for 1 or 2 people tents. Any bigger, and it will be useless. For those who are looking for a decent portable fan that can double up as a home fan, then the O2COOL 10” battery or electric portable fan is a great choice. What makes this fan a winner is the two power options. Plus, the fan is lightweight, compact, has a horseshoe base for stability, hinges for tilting, and low/high settings. With 4 D-cell batteries to run off of, the unit will last for about 40 hours. And if it happens to run out of battery energy because you are using the torch and LED lights frequently? You can always attach it to a nearby AC outlet (or portable solar panel with an AC outlet). Now, what happens if you want the power of the above mentioned O2COOL but the increased functionality of an included light? You upgrade to a slightly more expensive option. This 10-inch camping fan is lightweight, quiet, and can be powered by either the included AC adapter or with 6 D-size batteries. You can also tilt this fan to direct the flow of air. What truly makes this camping fan different from other products mentioned is that the LED light has 3 brightness levels: low, high, and nightlight. These lights can even be rotated. This makes it a convenient addition to your backpacking and camping gear. Not ideal for anything but 1-2 person tent. Though the SUAZNRF 3-in-1 Portable Mini Fan is indeed very mini, you shouldn't underestimate the usefulness of this fan for a single traveler. The motor is powerful enough to produce a comfortable breeze that can be adjusted to low or high levels. You can also enjoy the solar light fan that makes it perfect for emergencies when your flashlight runs out of batteries. By the way, that solar panel helps charge the battery, so you can be assured that energy is always nearby. The working time is about 4-8 hours, depending on the mode you've selected. A cheap option on a string? Say no more. The CestMall portable and rechargeable fan is tiny, powered by a Li-ion battery, and can be charged with a USB cable in 4 hours. There are two available colors—pink and black. Though it looks a little cheap, it can be hung around your neck while you walk to keep you cool while in motion, not just in the tent. Second, it can work for 2-6 hours on a single charge, depending on which of the 3 speeds you choose, so you can stay cool during the most hectic parts of your hike. Fans are another viable option for cooling yourself down. Unfortunately, a number of the available options on the market continuously reuse the same design and aren’t well received by many reviewers due to lack of functionality or cooling power. There are handheld, rechargeable units that might seem like a good idea, but many won’t function in humid climates. Others won’t hold a charge for long. Another option is an ice cooler fan, but these might be heavy, and the chances of you have access to ice to refill the unit are slim if you’re backpacking. That’s why, if you’re looking to stay in cool while hiking and backpacking in the summertime, it’s best to learn additional methods for keeping cool, such as using cooling clothing, towels, and similar. Many portable A/Cs and cooling fans either need to be plugged in constantly or require batteries to operate. 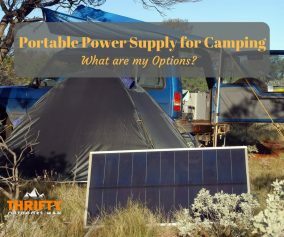 Depending on your camping style, you might need to bring extra batteries, an additional power source from the camp, or have access to a car battery to use. Also, noise. Some people adore the hum of a fan running through the night. Others don’t enjoy the sound at all--and some portable A/C units are bound to create some groans and gurgles throughout the cycle that might be less appealing to some campers than others. Always factor the weight of the item into what you typically pack. Remember that these items might not weigh much, but they could be bulky. Even a few extra pounds can be a significant burden. If the A/C or fan attaches to your tent in some way, make sure where you’re placing it is secure. No one wants something crashing down on them in the middle of the night. A decent camping fan is one that is well-built so it can lasts at least a couple of trips, is lightweight, has a long battery life, sufficient air circulation, and a decent price to boot! Depending on your needs, the temperature of your destination, and the size of your tent, the ideal camping fan for you is going to be different than someone else! However, there are plenty out there to choose from—but start with the ones on this list!